HYPE is a rock band from Serbia, formed in the fall of 2009. They play alternative rock with the sincerity and energy of a garage band, fanatically committed to total authenticity of expression. Their sound image is a sublimation of classic rock and proto punk, and at the same time a repercussion of vibe from the most inspiring eras of the music scenes in Detroit, Seattle and Los Angeles, molded into uncompromising and straight-up 21st Century rock. The band realeased the self titled album through Odlican Hrcak in March 2013, was recorded in collaboration with Beogradska škola zvuka and produced by Ivan Kljajic. HYPE submits everything to music beyond the walls and genres recklessly, and releases their songs from usual definitions and categorization while they allow each and every one of them to have a unique sound. This band has no political or ideological agenda but they passionately threw themselves into black humor, satirical penetration and attempt to break down taboos of the mass culture. Explosive combination of growling guitars, drum groove patterns, melodic bass lines and vocals in the spectrum of destructive subtleties to pure aggression, and unlimited quantities of always welcome subversiveness, will not make anyone indifferent. 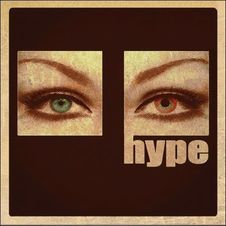 HYPE performed at numerous major festivals of the region so far, such as Exit, Warriors Dance festival, Concert of the year and INmusic festival, without an official release, thanks to the raw energy and their unique approach to authentic rock and roll music.